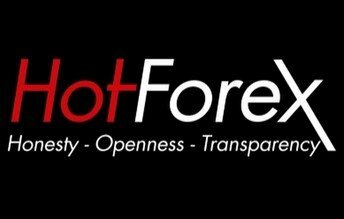 HotForex (HF Markets) as a company is a forex trading platform and commodities broker, offering trading facilities and services to both institutional and retail clients. After the company managed to successfully obtain a license that authorizes them to work in the United Arab Emirates, in less than 30 days, this trading service provider was also certified to operate in the UK trading market by the FCA i.e. Financial Conduct Authority. The FCA is an institution based in the UK that is accountable for monetary services industry. By HotForex being authorized by the FCA to operate in the UK’s forex trading market, it means that their subordinate institution situated in the UK will now be regulated and supervised by the Financial Conduct Authority under company reference number 801701. This is with no doubt a great achievement for HF Markets brokerage group. By having an FCA license, HotForex has now obtained an undisputed credibility in the UK’s financial market and therefore their esteemed clients i.e. forex traders utilizing their services are assured now they will be getting extremely secure and reliable services as the company will adhere to the standards set by the FCA and work with them in an open as well as safe manner. The HF Markets group offers operations in a range of countries including the UAE, South Africa and in most European countries among other nations worldwide. Its subordinates are valid and licensed to operate by the CySec i.e. Cyprus Securities & Exchange Commission, the DFSA i.e. Dubai Financial Services Authority as well as the FSCA i.e. South African Financial Regulator. The HotForex Markets brokerage group UK based subsidiary firm is already offering services to local forex traders in the United Kingdom through their website i.e. www.hfmarkets.co.uk which is reliable and always in operation. Its UK based subsidiary company provides forex trading investors in the United Kingdom with at least 150 forex trading apparatus on the present-day Metatrader 5 as well as an option of three kinds of accounts with impeccable and exceedingly appealing terms of service.